Untied United Cutlery S.O.A. Rescue Pen Green | BUDK.com - Knives & Swords At The Lowest Prices! 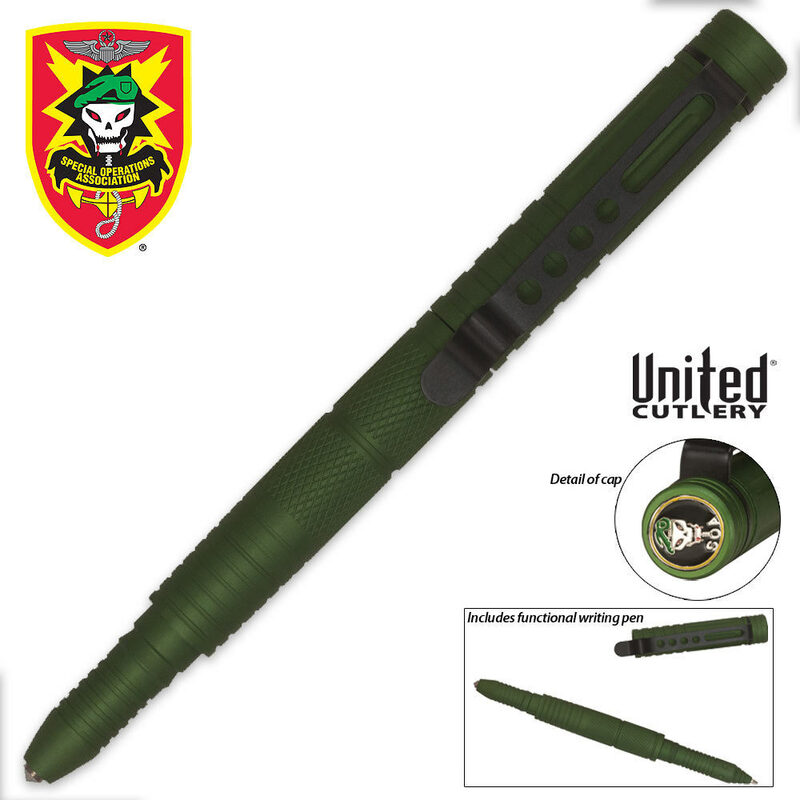 This United Cutlery Special Operations Association tactical pen is constructed of 6061 aluminum for a durable writing utensil that is also a self defense tool. It also offers a glass breaker point for fast rescue access into wrecked vehicles.